These patterns (just for fun) were created using bounded random walks. The original line drawings are by Jakednb and are taken from Wikipedia. Another IFS pseudo-fractal image. I am now experimenting with how to colour them. Here have an opacity that encodes the number of times a point is visited, but also as a dynamical system the points are ordered. So I have added a colour based on the order at which the points are visited. I have again been playing with some random walks, using the same method as here. This time I used 1000000 iterations and added some colour. Below are random walks, on the plane (not a lattice) for which step size gets (on average) smaller and smaller with each step. I pick the step size using the Maxwell-Boltzman distribution (with a =1) and a suitable scaling which depends on the iteration parameter. I the add a opacity depending on how many times the points are visited: bright white means a lot, while grey means not many and black never. Once again, these images are rather for artistic purposes than scientific purposes. Another IFS that my wife and I created. Not sure what to call this one! 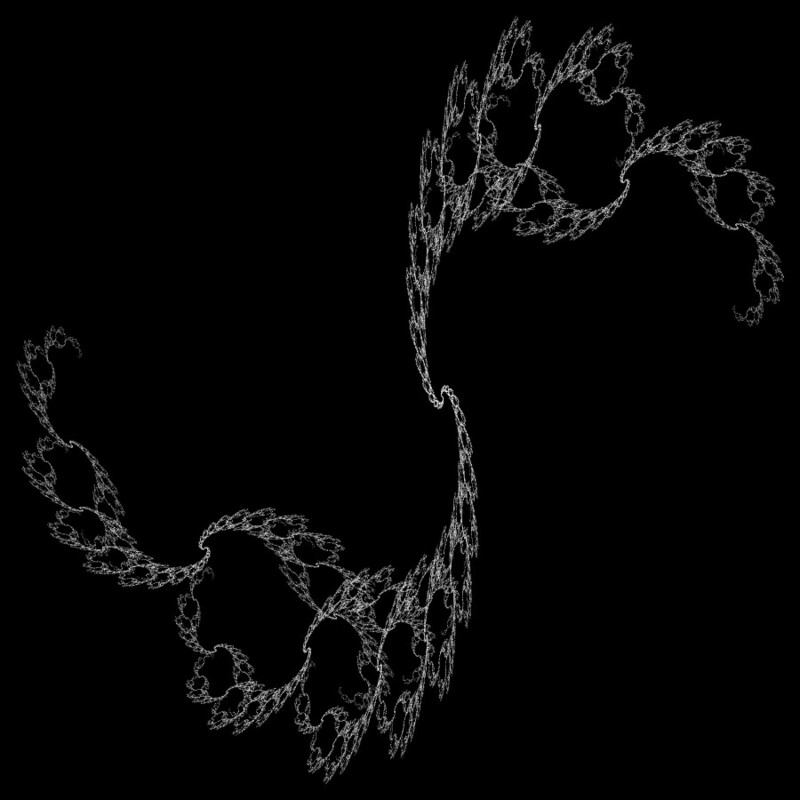 The above is an IFS fractal that resembles a fern. Maybe not as good as Barnsley’s fern , but mine was generated using two affine transformations and not the four as used by Barnsley. It is a nice image and I am happy with it. 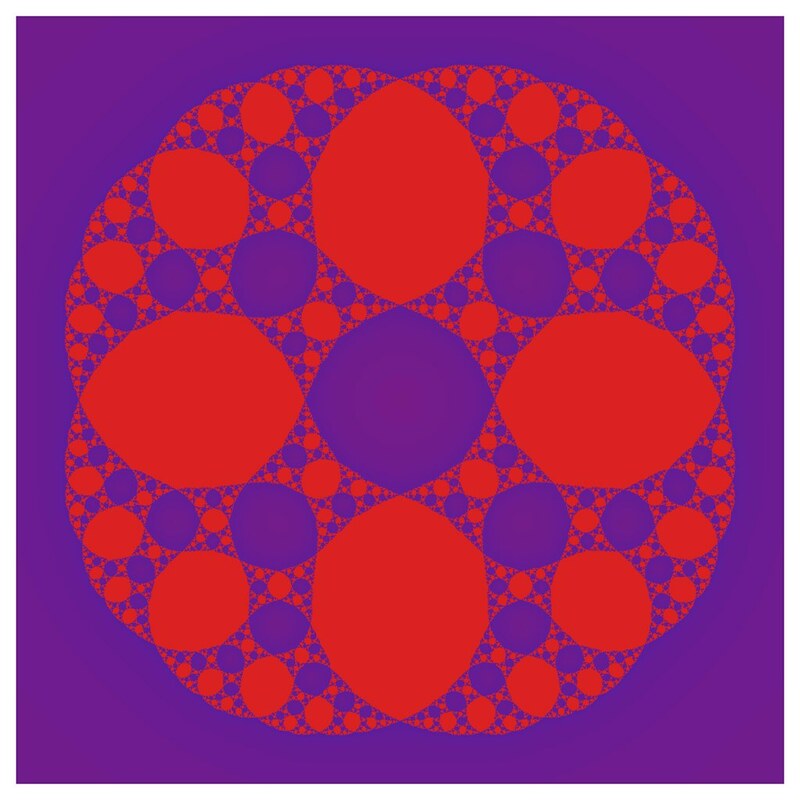 This is another piece of mathematical art my wife and I created. I call it “On to infinity”. 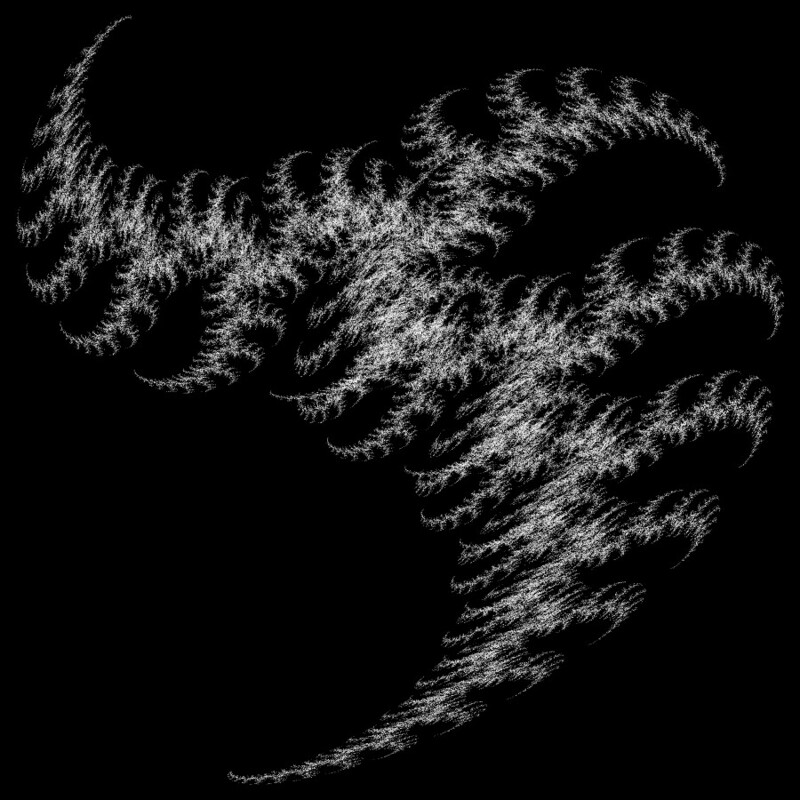 It has been a while since I have produced any iterated function system fractals, so here is my latest effort. I have not coloured them, rather the opacity describes the number of times a point has been visited. This gives a nice effect for some, but not all of these fractals. 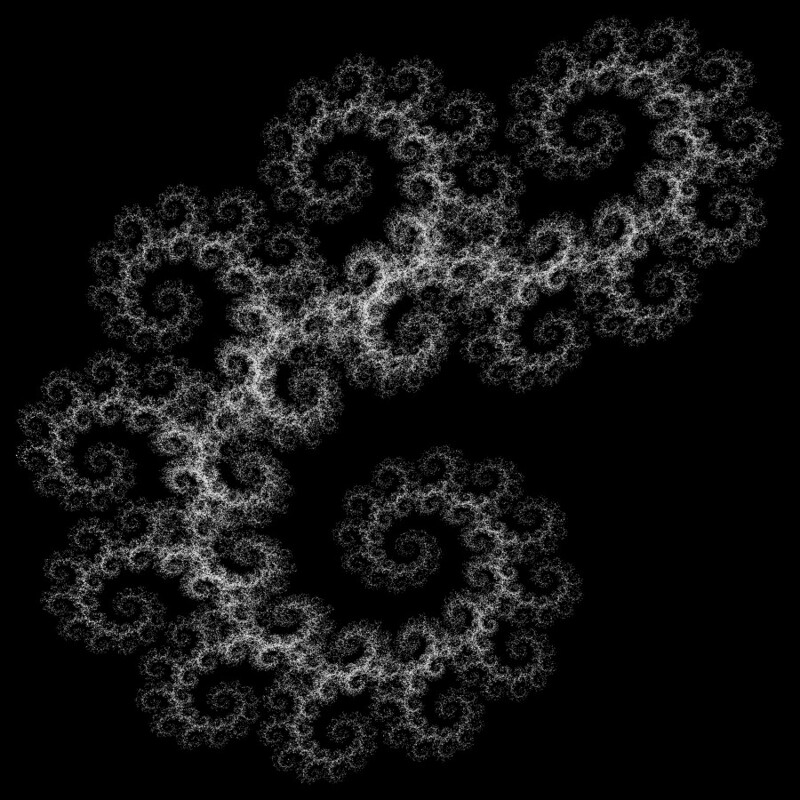 This is just a Julia set that I created. I was surprised at just how symmetric it is as well as showing clearly the fractal property of self-similarity.